The North Central District of the South Georgia Conference is led by Dr. Rick Lanford. It is made up of 13 counties – Washington, Johnson, Baldwin, Wilkinson, Laurens, Jones, Bibb, Twiggs, Bleckley, Dodge, Wilcox, Pulaski, and Houston. 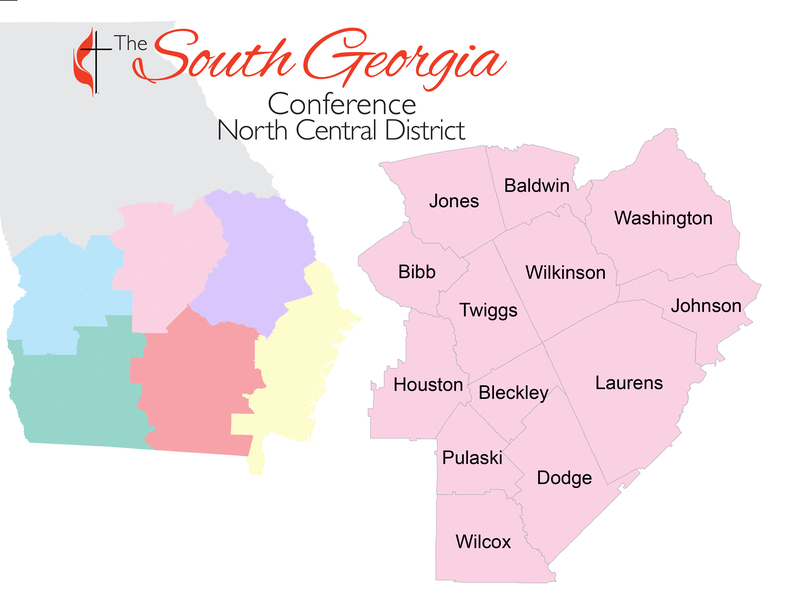 The North Central District is one of six new districts established during the June 2014 Annual Conference session.